This is one of those weeks where we wish we could go outside in our PJs and duvet. While that might not be socially acceptable, Fearne Cotton just introduced us to the next best thing that we wish we were wearing right now. Fearne shows you don't have to save skiwear for the slopes, as she is wearing a beautiful but cosy merino wool jumpsuit by ski brand Perfect Moment. Instead of a sloppy, baggy onesie that is only suitable for the sofa, this is fitted so it can be worn out of the house too. Fearne styled hers with a pair of rose-gold sunglasses and Vans high-tops. 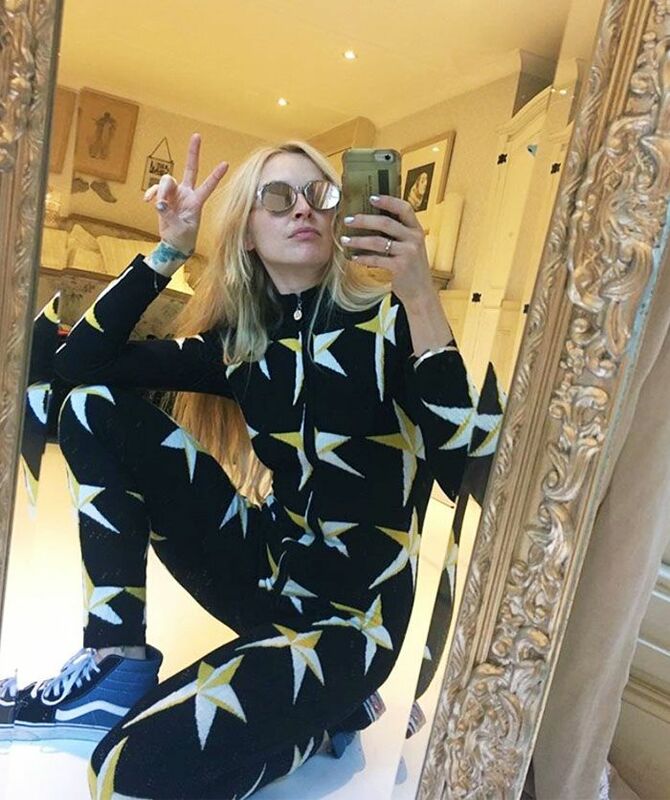 Keep scrolling to see how Fearne is styling her Perfect Moment jumpsuit, and shop it below. On Fearne Cotton: Perfect Moment Star Intarsia Merino Wool Jumpsuit (£355). Next up, see the five party pieces that are already selling like crazy on ASOS.